580.00 sqft. - 900.00 sqft. The spacious Apartment at Soni Hardik Tower 72 comes with many modern amenities including . The Apartment size starts from 580 sq ft. Sector 72 is well-connected to other parts of city by road, which passes through the heart of this suburb. Prominent shopping malls, movie theatres, school, and hospitals are present in proximity of this residential project. Sector 72, known to be an extremely peaceful locality in Noida, is well connected via rails and roads to the other adjoining parts of the city. Linked to Greater Noida and Ghaziabad, it is located in the Gautam Budh Nagar district of Uttar Pradesh. It conceptualizes the requirements of a rapidly developing area and has emerged as a modern, integrated and well planned industrial locale that is well connected to Delhi through national highways, ultra modern flyovers and a strong network of roads. Being a highly integrated township, it offers facilities for all activities ranging from Industrial to Commercial and Residential. The area has its own geographical advantage as it is bordered by Noida on one side and Greater Noida on the other. With direct connectivity to the NH 24 (Delhi Lucknow Highway), the region easily gets linked to Lucknow through the cities of Ghaziabad, Hapur, Moradabad, Bareilly, Shahjahanpur and Sitapur. To enhance the connectivity of the region, the Noida Authority is speeding- up the work on the Faridadbad-Noida-Ghaziabad Expressway (FNG). Moreover, the connectivity of this area has received another boost with the extension of the existing City Centre Metro line to the Noida Extension. The locality witnessed huge growth on account of systematic infrastructure developments along with planning for creation of a lot of residential and commercial spaces in the region. Sector 72, Noida, houses various schools, banks, hospitals and ATMs, which makes your life much more convenient as compared to other areas. 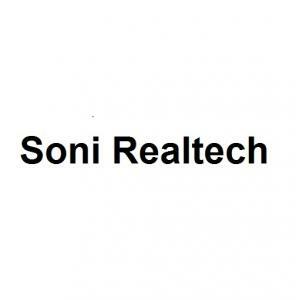 Soni Realtech is a renowned Real Estate Developer with a very high credential of constructing Real Estate projects. With a vision to cater to the latest residential needs of people, it deeply cares for its clients and their requirements. Working on the globally accepted standards, it takes pride in meeting the demands for exceptional quality through innovative construction, marketing plans and ensuring the best of pre and after­sales services. Committed to continuous improvement in quality and enhancing the customer care services, Soni Realtech's fundamental principles has helped the Company to grow by leaps and bounds.